Richard was born in New Orleans, Louisiana. She is currently living in Baltimore, Maryland due to being displaced after Hurricane Katrina. Music has played an influential part in her life since early childhood. Her father is Frank Richard, former lead singer and percussionist of the popular Funk/Soul band Chocolate Milk. Her mother owned a dancing school where Dawn spent much of her childhood developing her skills at choreography and singing. Aside from music, Richard was a high school national basketball champion, as well as a state bowling champion at De La Salle High school. She was a top-notch student, and attended the University of New Orleans, majoring in marine biology with a minor in marketing, under a full academic scholarship. Early on in her teenage life, Richard began performing with a local New Orleans group called "Realiti," before following her instincts and going solo under the name "Dawn Angeliqué." With help from her family and friends she released a solo album called "Been a While." Although it had no releases and did not chart, it was still good enough to secure her a spot as the opening act for Anthony Hamilton. 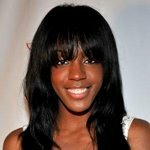 Briefly leaving music behind, she focused on dance, becoming an NBA cheerleader for the New Orleans Hornets while attending university. 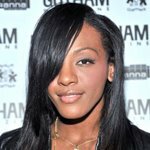 Her big break came when, in 2005, Richard auditioned for the MTV show Making the Band 3 in Orlando, where she was chosen to compete for a spot in Sean "Diddy" Combs's future girl-group. She beat out numerous contestants to secured herself a spot, along with Aubrey O'Day, Aundrea Fimbres, Wanita Woodgette (now known as "D. Woods"), and Shannon Bex in the newly formed musical group, which would soon be called Danity Kane. Richard has also remixed a song with London-based artist Cherri V, whose title is "Fast Car." The song has since become one of the most listened to songs on Cherri V's myspace.Early 2008, a song called "Phase" was leaked onto the internet and featured Lil Wayne. Although it was buzzed as a Danity Kane track, only Richard's voice was featured on the song, leaving speculation that it was a solo demo. July 2008, 2 new tracks were released onto the internet, one called "Rush Love" which featured Flo Rida, and another track called "Strobe Light" (written by Mary Brown and produced by Chad beatz). It is still unknown if this was part of a future solo endeavor. During a MTV News break, it was stated that Richard is working on an untitled comic book. Richard's also stated in an interview that she will be releasing a soundtrack for the Danity Kane Comic Book, to be released in March 2009. Included will be the leaked track "Falls Away". 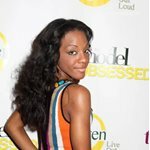 On January 27, 2009, Richard confirmed to MTV News in an interview that Danity Kane had completely split up.In that same interview, she stated that she still considered herself a member of Danity Kane (along with Aundrea Fimbres), and still had hopes that each girl would be willing to work as a group again. On the April 16, 2009 episode of Making the Band, Combs revealed that he released O'Day and Woods, along with Bex, from their contracts, and would be releasing Fimbres as well. He told Richard that she will stay on the label and that if there are any future plans for a new Danity Kane, she will be the only returning member.However, on the April 23, 2009 finale of the series, Combs stated that all five original members would be returning if he ever decides to reunite the group. Richard is currently working with Bad Boy Records, writing for artist Cassie and Combs himself. Richard is also working with another group called Dirty Money which includes Richard, Combs and a singer/songwriter named Kalenna. They will be on his album "Last Train To Paris".On May 10, 2009, a copy of the song "Train Wreck" written by Richard and produced by Flex&Hated and Eric Price, which chronicles the formation and break up of Danity Kane, was leaked online and was featured on several music and news websites. Not only was she an exceptional performer, but she was also a talented athlete. This homecoming queen was a high school national basketball champion as well as a state bowling champion. Dawn later began performing with a local group who called themselves Realiti before blossoming into a solo artist by the name of "Dawn Angelique." She performed throughout New Orleans before venturing out to events such as the Louisiana Jazz and Heritage Festival, New Orleans Black Heritage Festival, American Teen Beauty Contest in Orange County, and California. Throughout all this Dawn understood the importance of her education and attended the University of New Orleans under a full scholarship. She continued her dedication to dancing by performing with the New Orleans Hornets cheerleading squad for two years--becoming captain the second. 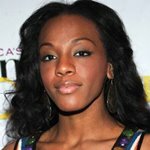 In 2005, Dawn auditioned for the MTV show Making the Band 3 in Orlando, where she was chosen to compete for a spot in Diddy's future girl-group. After a season of drama, competition, and friendships, Dawn made the band along with Aubrey O'Day, Aundrea Fimbres, Wanita "D.Woods" Woodgette, and Shannon Bex. Dawn's soothing voice "blends beautifully" with the group. Yet, she stands out with her sultry-yet-vibrant vocals. In June the band announced their group name, Danity Kane, on Total Request Live. Danity Kane will be dropping their album in the summer of 2006, which they hope will introduce the world to new sounds and change the game of music.